Innovative Bitcoin alternative FibreCoin has in just eight weeks launched several exclusive safety features; their most recent project ZeroTrust offers an exclusive end to end privacy solution now available to the public. Among Fibre’s other innovations to optimize security for cryptocurrency adopters are FibreConnect, FibreDark, FibreOS and FibreLock to combat keyloggers by using a security pattern similar to that used for Android. FibreCoin is a Proof-of-Stake (PoS) cryptocurrency allowing FibreCoin adopters to enjoy ongoing hands-off profits when storing FibreCoins in the wallet. Fibre is a part of Blocknet and implements Dark Gravity Wave for difficulty re-target, a block speed of 60 seconds and 5% PoS annual interest. 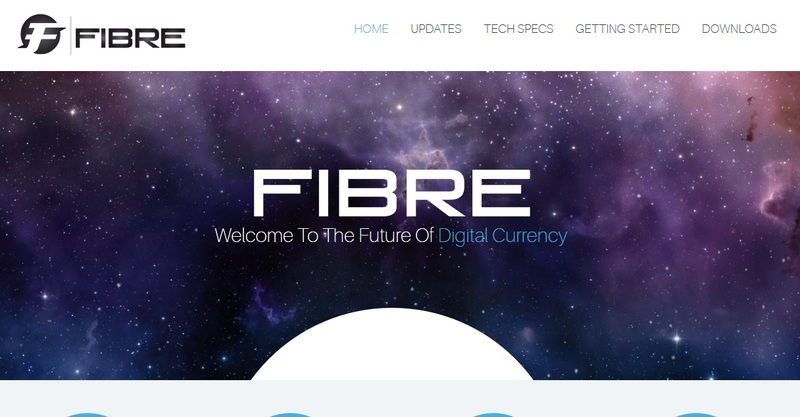 FibreCoin has met with large early success and is already accepted on six online exchanges including Cryptsy, Bittrex and Poloniex. FibreLock is a key cryptocurency security innovation from Fibre and is already implemented in Bitcoin wallet. Fibre aims to make ZeroTrust the safest obfuscation technology in the cryptocurrency ecosystem. ZeroTrust is exclusively developed and coded by the FibreCoin team and does not use XC mixer, Dark Send, Zerocoin or Zerocash technology making it a brand new solution to the security breaches cryptocurrency transactions have faced in the past. Fibre’s ZeroTrust prevents common problems by sharing transaction information between multiple mixer nodes on the decentralized network. Fibre strives to make all safety features, including ZeroTrust, as user-friendly as possible allowing them to be available for novice and experienced cryptocurrency enthusiasts alike. ZeroTrust is only the latest in a long line of exclusive features previously introduced by FibreCoin. Other projects includes FibreConnect, an anonymous and fully encrypted communication system, FibreDark, a special stealth feature allowing users to hide their IP address and location when using the Fibre network and FibreOS; Fibre’s very own Linux operating system dedicated to the coin which allows users to achieve ultimate security and cold storage solutions meaning that FibreOS can be stored off-line on a USB stick making the information impossible for hackers to steal. Fibre will also be added to the Casheer cryptocurrency iOS and Android merchant payments App allowing Fibre to be accepted at hundreds of real-world merchants and online worldwide. With the launch of FibreCoin featuring a whole line of innovative security options covering all aspects of conducting commerce using cryptocurrencies; such as communication, transactions, pin codes, anonymity and safe storage solutions – FibreCoin marks the beginning of a new generation of Bitcoin alternatives emerging from within the cryptocurrency space. To see the Fibre Core Development Roadmap please go to: https://bitcointalk.org/index.php?topic=737771.msg9170047#msg9170047 and click here.